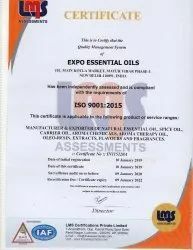 Expo Essential Oils, established in the year of 1984 at New Delhi, India is reckoned amongst the reputed manufacturers of fragrances. 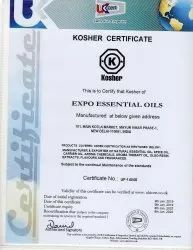 Our range of high quality products includes aroma chemicals, Spice Oils, Natural Essential Oils, Isolates & Aromatics Chemicals, Flavor & Fragrances, Oleoresins & Extracts, Rectified Essential Oils and Carrier Oils. 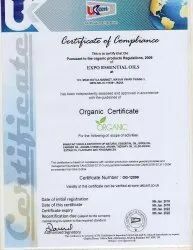 Our team of experienced staff works hard and offers a qualitative range of products. With a wide industry experience, we have gained trust from our clients. 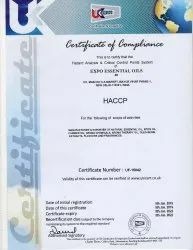 The products are checked on various required parameters and are also ensured for their accordance with the international quality standards. 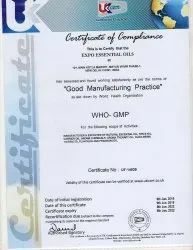 Our company follows some quality standards such as USP (United States of America Pharmacopoeia), IP and BP (British Pharmacopoeia) ensuring the flawless performance of the products. The diligent team of our company makes sure that the products are delivered to our clients safely and timely. Our staff includes packaging and warehousing employees who take utmost care of the industry norms. Under the guidance of our mentor Mr. B. N. Tripathi, we have gained immense appreciation in this field. His deep industry experience and ethical business policies have made us acquire huge client base.